Rating (4) 5 out of 5 stars. 4 ratings. Rating (3) 5 out of 5 stars. 3 ratings. 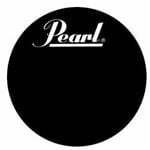 American Musical Supply is excited to be your stop for Pearl Accessories! We offer True 0% interest payment plans - applying is easy and there is no credit check for our 3-pay plan on purchases from $49-1,500. Use your own debit or credit card, enjoy fast and free shipping, and add Pearl Accessories to your creative setup. We make buying Pearl Accessories quick and easy - in-stock items that are ordered before 4PM EST will ship out the same day! Do you have questions and want to know which items would be best for you? Give us a call at 800-319-9043 - our experts are standing by. What started as a simple string and pedal sales catalog has grown exponentially over the past thirty years. The early days were a time where catalogs didn't have much of a presence in the industry, but what began as a college dorm room operation grew rapidly. In 1986 we moved to a full product offering and 64-page catalog, which over the years has grown to 162 pages. Join the AMS family and get your free catalog now! Copyright © 1996-2018 American Musical Supply, Inc. All rights reserved. American Musical Supply reserves the right to correct pricing and/or product specifications in the event of typographical errors found in our print catalog or on our website. If a product is listed at an incorrect price due to such errors or because of inaccurate information received from a supplier, American Musical Supply shall have the right to refuse or cancel any orders placed, whether or not the order has been confirmed and your credit card charged. If your credit card has already been charged for the purchase and your order is canceled, American Musical Supply will issue a credit to your credit card account in the amount of the charge. Do you want to know about the latest gear and the best deals?